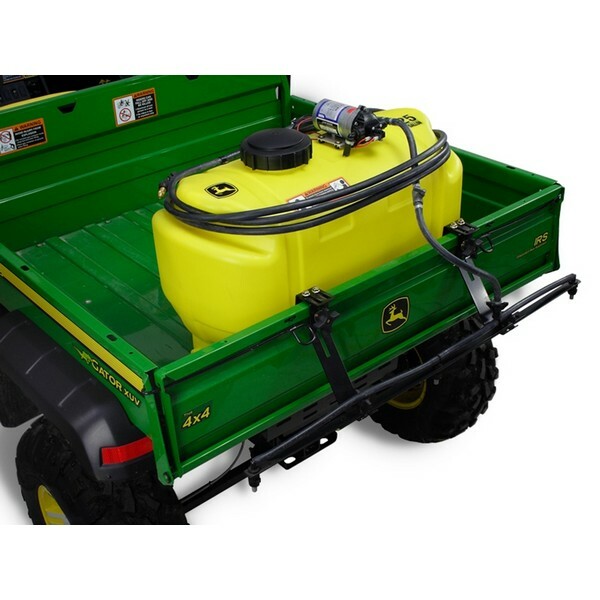 This 25 gallon sprayer is compatible with all Steel Bed Gator models and ATV EXT models. It provides an excellent way to apply spray materials such as liquid fertilizer, weed killer, tree spray and de-icer. 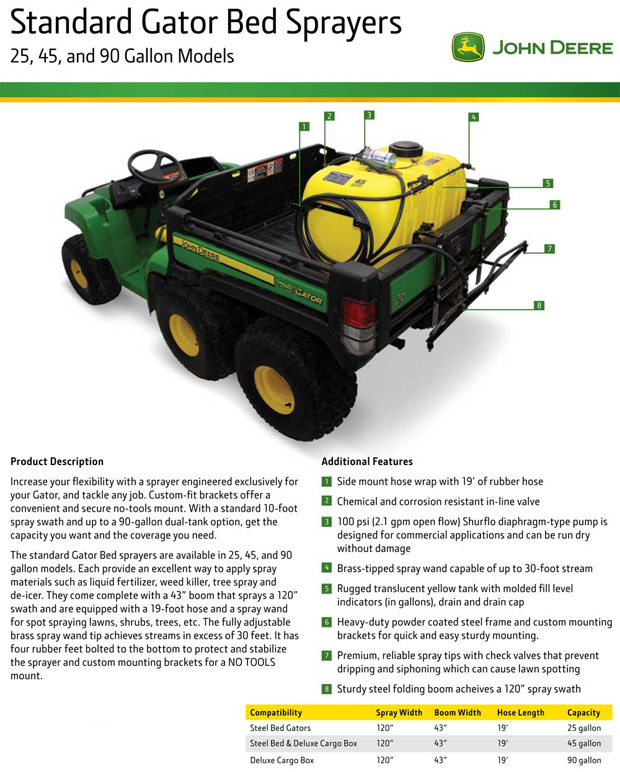 It comes complete with a 43" boom that sprays a 120" swath. It's with a 19-foot hose and a spray wand for spot spraying lawns, shrubs, trees, etc. The fully adjustable brass spray wand tip achieves streams up to 30 feet. It has four rubber feet bolted to the bottom to protect and stabilize the sprayer and custom mounting brackets for a NO TOOLS mount.